Non-Invastive Neuro Stimulation is a therapy that has been in Australia for many years, and is continually growing in popularity due to its effectiveness. Sarah was trained as a SCENAR Therapist in 2002, and as a result is one of the longest standing therapists in this field in Australia. SCENAR (Self Controlled Energo Neuro Adaptive Regulator) is a hand held electro-stimulation medical device. It is a certified pain relief device that was designed by a Russian Neurologist to relieve pain and restore function. SCENAR is non-invasive and does not involve needles, drugs or surgery. Key Therapy is one of the most recent variations of Non-Invasive Neurostimulation. Due to the additional benefits to clients, Sarah has become a trained Key Therapist. Key Therapy also has the added benefit of iontopherosis, which means the device can be used in conjunction with creams or gels as part of your treatment plan. Key Therapy also offers a user friendly home device (Sanakey) that can provide ongoing treatment in the comfort of your home. Sarah is an authorised reseller for Sanakey, and can also provide training for both home devices (Sanakey) and professional devices (Physiokey). Your initial appointment will involve you filling in some paper work. Your therapist will then take a comprehensive medical history. Following this, you will receive a thorough explanation and demonstration of the non-invasive neurostimulation device being utilised to assist you with your complaint. Your treatment plan will be discussed with you to ensure it meets your goals, and works towards increasing your function and improving your health and wellbeing. Your initial appointment will usually take approximately one hour. The device is placed on your body and you are asked when you feel a slight tingling sensation. This is not a painful experience. 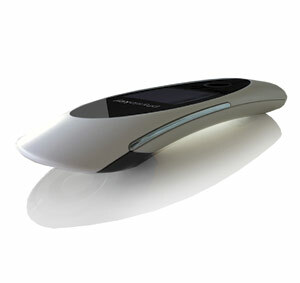 The device is brushed over your body throughout your treatment. During this time, you may notice some sensations in different areas in your body. You are encouraged to explain these sensations as they occur. This is to aid in directing your treatment. SCENAR and Key Therapy are unique in their ability to be able to locate exactly where your body requires assistance to relief pain or restore function. The device will then deliver the necessary treatment to that area. Non-Invasive Neurostimulation will assist to put your body in a position to heal itself by opening up nerve pathways and ensuring a clear message is being sent from the brain to the area requiring treatment. SCENAR and Key Therapy aim at creating a change in your current condition. Any change means that the body has listened to the treatment and it is therefore working. However, some people may have an increase in pain, especially following their first treatment. This is a positive sign; as it means the body is listening to the problem, responding quickly to treatment and beginning to restore function. An increase in pain or symptoms does not usually last for any longer than 24hours. The number of sessions you require will depend on your condition. Some acute issues will resolve in as few as three sessions. Other chronic, long lasting conditions will require a series of sessions. You will be given an estimate of the number of treatments you may need on your first session. Contraindications: If you have a pacemaker you are unable to receive SCENAR or Key therapy. Please ensure you inform your therapist if there is any chance you may be pregnant. You are still able to receive treatment, however, there are certain protocols to be avoided during this special time. DISCLAIMER: The information presented on this site should not be considered complete, or take the place of a consultation with a physician or competent healthcare professional for medical diagnosis and/or treatment. The following articles and publications give support for the efficacy of feedback-controlled non-invasive neurostimulation for pain relief and functional restoration. This list is updated as articles become available. Click on blue text to download. Fall of Skin Impedance in Bone and Joint Pain. Fujita T, Fujii Y, Okada SF, Miyauchi A, Takagi Y. J Bone Miner Metab. 2001;19(3):175-9. (Abstract). The Evaluation of Electrodermal Properties in the Identification of Myofascial Trigger Points. Sarah P. Shultz, MEd, Jeffrey B. Driban, MEd, Charles B. Swanik, PhD. Arch Phys Med Rehabil. 2007 Jun;88(6):780-4. Cutaneous Patterns of Sympathetic Activity in Clinical Abnormalities of the Musculoskeletal System. Kerr IM, Wright HM, Chace JA. A cascade of cytokines mediates mechanical inflammatory hypernociception in mice. Cunha TM, Verri WA Jr, Silva JS, Poole S, Cunha FQ, Ferreira SH. Proc Natl Acad Sci U S A. 2005 Feb 1;102(5):1755-60. Epub 2005 Jan 21. Non-invasive interactive neurostimulation reduces acute pain in patients following total knee replacement surgery: a randomised, controlled trial. Ashok K Nigam, Drena M Taylor, and Zulia Valeyeva. J Orthop Surg Res. 2011; 6: 45. Published online 2011 Aug 24 (Abstract). Interesting to note treatment time was only 10min. At least 15 to 20 minute is required I think to get an efficient cascade of cytokines.